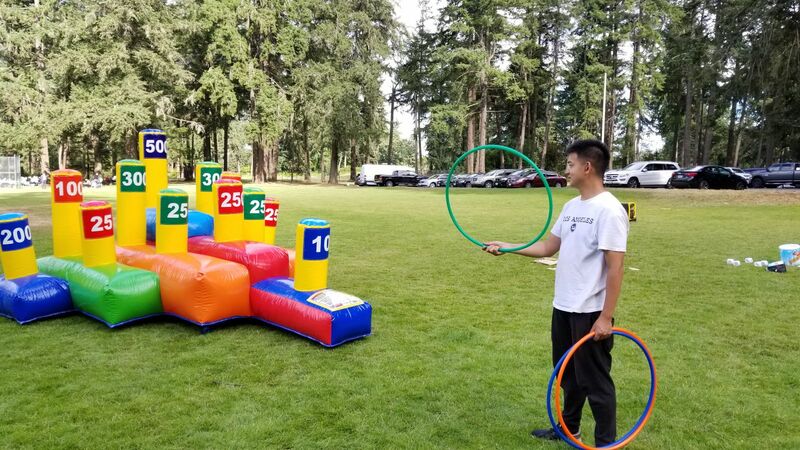 Inflatable Ring Toss Game for your next event. Great for any type of party or event. Our Giant version fo the carnival Ring Toss Game is popular with guests of any age. This is great choice for schools, churches, summer camps, corporate events and family parties. You can entertain your guests for hours with this Giant Ring Toss game.